It’s been almost half a year since Regulation Crowdfunding (Reg-CF) was officially launched. The securities regulation, also known as Title III under the JOBS Act, has now made it possible for unaccredited investors to participate in offerings that had been previously limited to the wealthiest Americans. According to data from CrowdFund Capital Advisors, there have been a total of 125 Reg-CF offerings filed with the SEC as of Oct. 16 with the majority coming from California. In fact, California has twice as many offerings as Florida, the next closest state. Interestingly, the majority of issuers (57 percent) are startups less than one year old. The JOBS Act crowdfunding revolution is here, but it’s easy to miss unless one looks closely. In total, only $11.4 million has actually been invested. It’s important to remember that the JOBS Act, which was passed into law on April 5, 2012, actually took 1,502 days for the rulemaking and SEC implementation process. We’re certainly in the early days of crowdfunding being legal, but all indications are promising for this new form of capital formation. One of the misconceptions about securities crowdfunding is that an issuer can simply place an offering on a Reg-CF crowdfunding portal and just sit back while the Internet finds them. Unfortunately, that approach is almost certainly doomed to fail. Much like we have learned from donation-based crowdfunding portals such as Kickstarter and IndieGoGo, it is essential for the person or company launching the campaign to take responsibility for generating interest and web traffic to the project page. To be successful in crowdfunding, one must bring their own crowd. It’s true that every once in a while, a project catches the attention of the media and “goes viral,” but counting on this to happen for your company on its own is a major mistake. Instead, crowdfunding works best for companies that already have a large social media following or a plan to generate one quickly. “N1CE Frozen Cocktails.” This DJ team’s “alcoholic popsicles” were already a hit at popular music festivals where they performed to more than 2.5 million people last summer. By offering securities to their fans, they’ve enabled supporters to literally “be part of the party.” At the time of this writing, they had secured $163,310 from 200 investors. The team already had a very strong social media presence that, before crowdfunding existed, was used to engage fans and sell tickets to concerts. Now, they can take that fan engagement to another level and leverage relationships to secure investors in their company. In addition to offering securities (such as debt or equity), Reg-CF issuers can also couple traditional rewards and perks that are used extensively in donation-based campaigns. For the N1CE team, this included T-shirts, hats, invitations to attend launch parties, personal phone calls from the CEO, packaging naming rights and even an opportunity to join the DJs on stage in Ibizza. N1CE was particularly well suited for securities crowdfunding because it has a consumer-focused product that is easily understood and communicated. Another strategy for successful securities crowdfunding is to engage communities of supporters around a particular mission or cause. Edward Damiano isn’t just the CEO and founder of Beta Bionics, he’s also the parent of a child with Type I diabetes. His company created the iLet, a fully integrated bionic pancreas that allows children with Type I diabetes to go through daily life without the debilitating task of monitoring their blood sugar levels. What’s noteworthy about this company is that they have engaged other parents and groups who care about this cause to not just be a donor to a nonprofit, but to be an investor in a company that is building solutions that might help their children. Reg-CF allows any individual to be a part of something they are passionate about with the potential for an investment return. Whether it’s a frosty alcoholic beverage or a treatment for a debilitating disease, the innate desire for people to belong to a cause greater than themselves will create fertile ground for Reg-CF and all forms of crowdfunding to thrive. Lee Barken, CPA, LEED-AP, is the Energy and Cleantech practice leader at Haskell & White LLP and serves on the boards of directors of CleanTECH San Diego, Grid Alternatives-San Diego Chapter and the San Diego Venture Group. 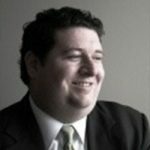 Barken writes and speaks on the topics of renewable energy project finance, green building, crowdfunding, IT audit compliance and wireless LAN technology. Reach him at (858) 350-4215 or lbarken@hwcpa.com. Crowdfunding is a great alternative way to fund a venture, and it can be done without giving up equity or accumulating debt. 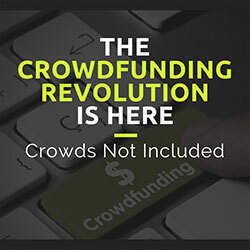 It is nice to find a resource of crowdfunding experts and crowdfunding tips. Your site is a great resource for equity crowdfunding.